A SENIOR liver surgeon who worked at both the Royal Blackburn and Burnley General Hospitals claimed he was sacked for blowing the whistle about alleged dangerous working practices. Aditya Agrawal told a judge at an employment tribunal, the practices imposed on him and his former colleagues, contributed to at least one death and one unnecessary major operation taking place. The £70,000-a-year surgeon told the Manchester hearing that, bosses at East Lancashire Hospitals Trust, were determined to punish him rather than tackle the dangers and ‘malpractice’ he exposed. Trust bosses are set to contest the consultants claims as the hearing unfolds this week. Mr Agrawal is appealing the decision to dismiss him in July 2015, which followed a four year suspension on full pay, on the grounds of unfairness, racial discrimination and punishment for whistleblowing. He told the tribunal headed by Judge David Franey, that after his appointment to his consultants post, the trust and its clinical director Rob Watson ‘abruptly’ imposed a new roster which was ‘a recipe for disaster’. Mr Agrawal, who until this point had an ‘unblemished’ record with trust bosses, said he and a small number of consultants were overworked and patient safety and continuity of care were compromised. Mr Agrawal told the tribunal: “There was utter chaos. Mistakes often occurred. “Thus was a high risk patient who had improved clinically and did not need surgery ended up having major abdominal surgery with post operative complications. “A case in point was the unfortunate patient in her early 30s with a benign liver condition who died in the Intensive Care Unit from mismanagement and lack of timely intervention. With such incidents occurring, it was impossible not to be alarmed. 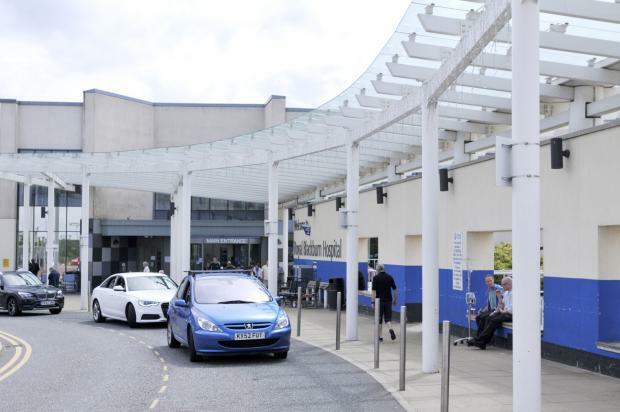 In another case the surgeon said an operation took place at Burnley General against his advice leading to ‘postoperative complications’ and the patient’s transfer to the Royal Blackburn Hospital for urgent treatment. Mr Agrawal said he raised his concerns about the new ‘Consultant of the Day’ system with Mr Watson and then trust medical director Rineke Schram. He highlighted other concerns including operating without basic instruments, operating in small theatres with poor lighting, a broken operating table and inexperienced ancillary staff. He told the hearing he was reprimanded and told not to raise concerns again. The consultant said he was then investigated over a series of ‘malicious, vexatious and frivolous’ allegations and ‘imaginary deaths and complications had been conjured up to create a case against me’. Mr Agrawal said he was ‘abruptly and arbitrarily suspended’ and then dismissed on ‘entirely fabricated’ grounds damaging his career and causing financial and professional damage. He said Mrs Schram’s investigation was ‘botched’ and the process from the beginning was about ‘punishment’ for raising his clinical concerns. Mr Agrawal said Mrs Schram had ‘abused her position of power, responsibility and trust’ and ‘concealed actual incidents of negligence’ without ‘examining the veracity’ of the allegations against him. Mr Agrawal told the tribunal: “The cause of this scandalous state of affairs is that I blew the whistle on unsafe practices. Barrister Mark Sutton QC, for the trust, questioned Mr Agrawal over whether he did know or should have known of the new rota system before accepting his job, and whether he fully understood the system for voicing clinical concerns and whistleblowing. Mr Sutton also cross examine Mr Agrawal about whether his professional relationship with his medical colleagues had broken down before his suspension. The hearing continues and is expected to last three to four weeks. MP Peter Bottomley, who raised Mr Agrawal’s case in Parliament, is expected to make a submission and Mrs Schram and Mr Watson are scheduled to give evidence. Previously, Kevin Moynes, director of Human Resources & Organisational Development at East Lancashire Hospitals NHS Trust, has said: “It is inappropriate to comment on this case given that it is subject to on-going procedures and in light of the Trust’s obligations of confidentiality to its employees.